This is a huge question but we often find that when a client gets a few quotes for the same project the prices can still be very different. With the changes this industry has seen in the last ten, five even two years, it’s not really surprising at all. I’m not going to go into what you should be looking for when choosing a production company (that will be a blog for the future). I just want to shine a light on the changes that have happened in our industry. And there is one big factor that has revolutionised video production in the corporate market – technology. It’s hard to explain how quick technology moves in video without going into a huge amount of detail that will most likely bore you to death. So I’m going to try and keep this simple and relate it to as many as possible on how this is effecting your quotes. When I was in film-school we filmed our final year film on a top of the range broadcast camera worth £75,000. It was one of the first HD cameras and recorded to tape. It was a serious bit of kit. As good as it was it needed a lot of lighting to get a good image and a fair bit of skill to operate. Most of the films made with it in our final year struggled with even getting it in focus. As great as it was to film in HD, the university did not have the equipment to edit footage that big. HD file sizes are a lot bigger than SD (standard definition). It was too expensive. This meant we had to transfer the tapes to SD before we could import them into the computer. The process took over a week before any editing could start. All of this meant filming in HD just 7 years ago was very costly. As a customer you would be paying for; the use of a very expensive camera and huge lighting set ups to make sure everything was lit. Then you had the tape cost and conversion costs. On top of this this you need a computer that could handle all that footage. The number of highly skilled personnel needed to make a unique small corporate video was a lot higher than it is now. 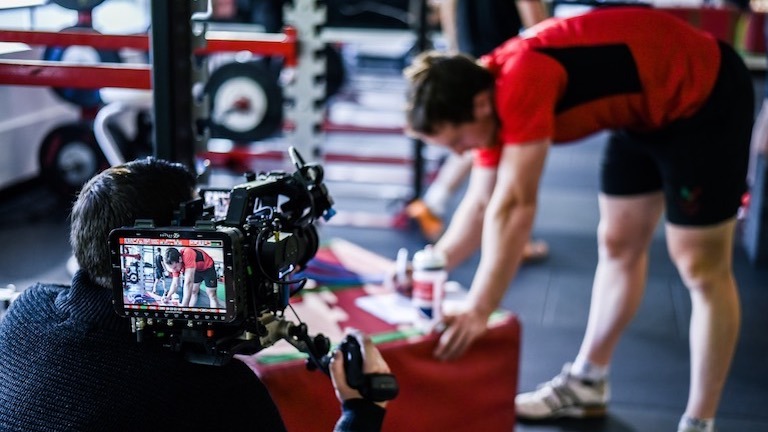 It was not surprising that simple corporate videos would costs upwards of £20,000+. Contrast to this when we started Like an Egg just two years after university the first camera we bought cost £1100. It filmed on card, didn’t need to be blasted with light and could be imported straight on to the computer in a day. And more importantly with some nice lenses and a good operator produced better quality footage than the camera we used in film-school. It was a game changer. In the 5 years since we started, the number of production companies have increased ten fold. The ease of access to top quality equipment and technology means our industry has never been more competitive. Which can only be good for clients. It has driven prices right down. Existing production companies had to downsize or adapt their business model dramatically. The number of single shooters (one person who does every element in creating the video) producing good content meant bigger companies could not compete if the choice came down to cost alone. However it is worth remembering, “a good camera does not a video production company make.” Some things haven’t changed. There is so much more to what we do. In video the tool is only as good as the people using it, both creatively and technically. The basic process of filmmaking remains the same and so do the problems that come with it. To make a video you need the talent behind the camera. You need them to understand budgets and schedules. You need them to guarantee delivery of what you asked for. They need to be able to solve your problems, simple as that. If you employ a video production company you expect them to have great kit but also have the technical knowledge in house to use it. It has to look and sound professional – no exceptions. And perhaps more importantly it must meet your aims and objectives. Ask to see their insurance and if they carry out risk assessments. Do they have the correct licenses for all the software they use? Next time someone quotes £20,000 for what you think is a simple job, ask why. But if someone else only quotes £500, question that too. They should be able to itemise every cost and explain it. However complicated something is, it’s our job to explain it to you in the simplest way. We try to explain our own costs here.